These past two weeks, since returning for Israel we have had the chance to enjoy some of the simpler things in life. In Israel, it was meat, meat, and more meat. Seriously, what else can you really enjoy, protein wise, on Passover other than meat? So, after all that carnivore activity we had no choice but to enjoy more of it! We had some of my wife’s classic slow roasted lemon and rosemary chicken. This past week we had some leftovers of whisky and brown sugar braised short ribs. 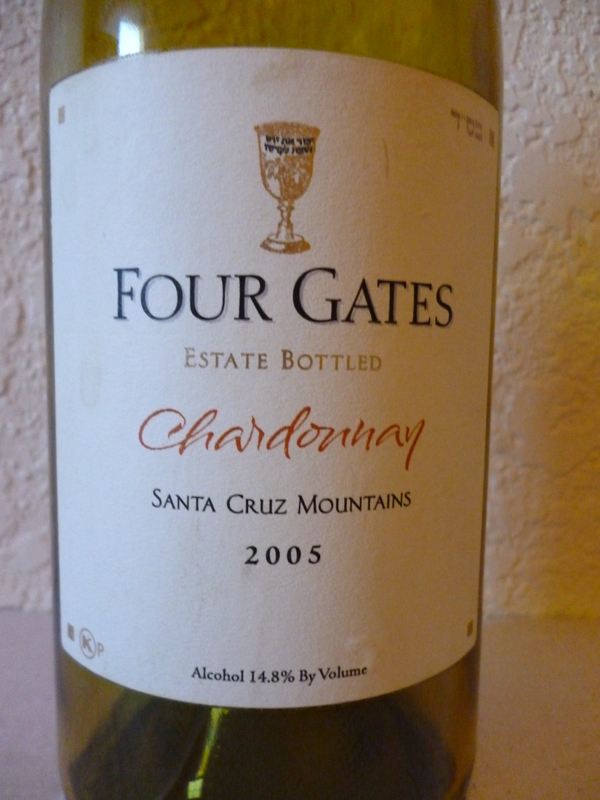 To pair with lemon rosemary roasted chicken I opened a bottle of the 2005 Four Gates Chardonnay, which was AWESOME! The wine started off very closed, but soon it turned around and made its way out of its oak and butterscotch haze to open into a tropical and summer fruit paradise. 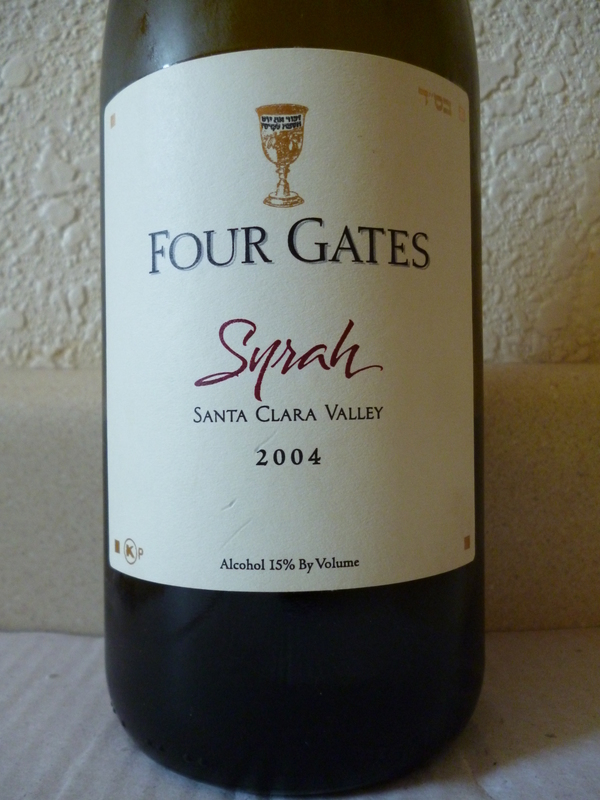 To pair with the braised sweet and sour short ribs we opened a bottle of the 2004 Four Gates Syrah. The last time we had the 2004 Four Gates Syrah, it was lovely but the weakest of the vertical. Today when we opened the wine it was fantastic! It was deep and rich with good extraction, crazy black and blue fruit, and lovely herbs and eucalyptus. This wine started off way wrong, with almost zero fruit and huge amounts of wood, along with a large dollop of butterscotch. I jokingly called it a wooden butterscotch Popsicle. Well, thankfully I waited and sure enough the wine popped out of its funk to create nothing short of heaven. The wine nose is redolent with lovely butterscotch, melon, rich butter, peach, and apricot. The mouth is full bodied, rich, and layered with rich ripe summer fruit, lemon, floral hints, Asian pear, and mango, all wrapped in good acidity and toasty oak. The finish is super long with smoky notes, caramel, nice butterscotch, with a touch and finish of cut grass vanilla. The nose on this wine explodes with nice blueberry, blackberry, rich earth, eucalyptus, menthol, and blackcurrant. The mouth is extracted, concentrated, and layered with layers of black cherry, mint, blue and black fruit, nice oak influence, and crazy tannin that is still integrating. The finish is long and balanced with good acidity, lovely tobacco, chocolate, vanilla, and butterscotch. Over time the wine also shows black olives and hints of tar. This is a lovely wine that has another two years ahead of it and may well be at its peak, while probably not evolving much better than right now. Posted on May 1, 2012, in Kosher Red Wine, Kosher White Wine, Wine and tagged Chardonnay, Four Gates Winery, Syrah. Bookmark the permalink. 1 Comment.